Item number 2878/61 from the MOA: University of British Columbia. 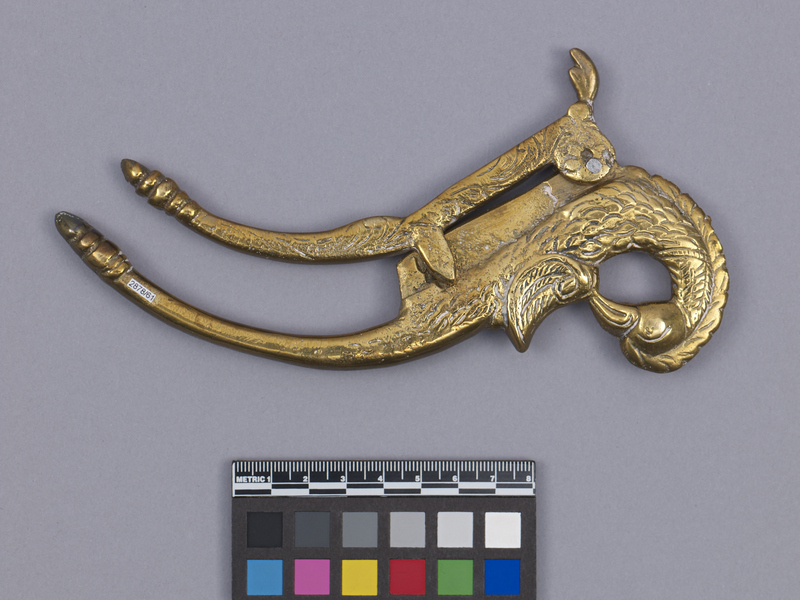 Brass betel nut cutter with two scissor-like hinged components. 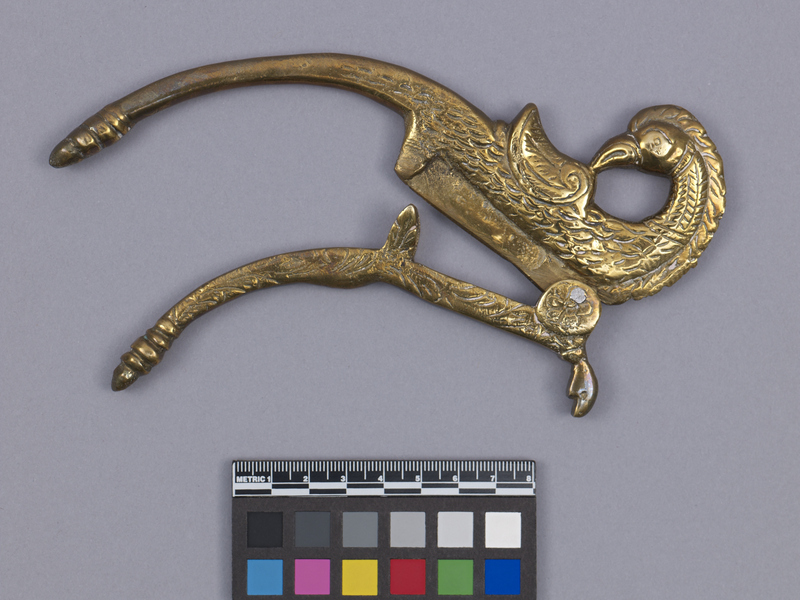 The main piece of the cutter is shaped and carved to resemble a peacock with its head turned over its back so that its beak touches its feathers, a blade-like section below its body, and a long extended handle portion representing the tail. The lower hinged component has a flat section that corresponds to the blade-like portion on the main component, and an extended handle in a shape echoing that of the main component. These extensions allow for opening and closing the cutter.